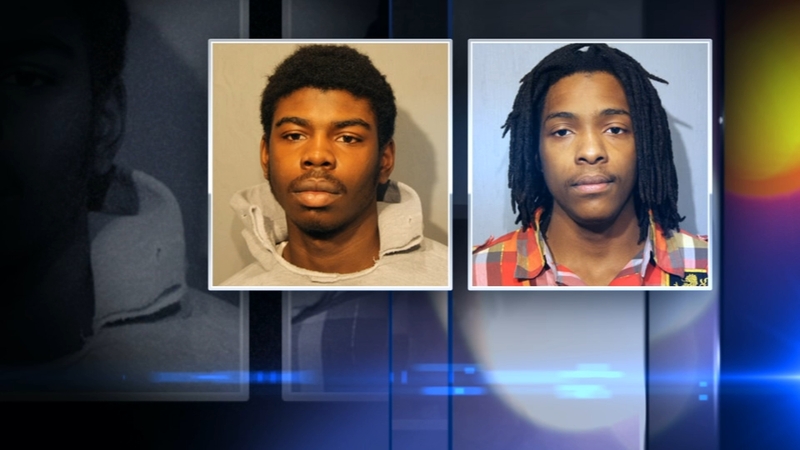 Mickiael Ward and Kenneth Williams are charged in the murder of 15-year-old Hadiya Pendleton. CHICAGO (WLS) -- A forensic scientist and police detective testified Monday on Day 5 of the double trial of the men accused of killing 15-year-old Hadiya Pendleton. Mary Wong, a forensic scientist for the Illinois State Police, and Sgt. Velma Guerrero, took the stand at Leighton Criminal Courts building in the trial of Kenneth Williams and Mickiael Ward. The reputed gang members are accused of shooting into a group of teens at Harsh Park in Chicago's Kenwood neighborhood in January 2013, killing Pendleton shortly after she performed with the school band at Obama's second inauguration. Hadiya Pendleton's mother, Cleopatra Cowley-Pendleton, also took the stand. She was the last witness after an extended day in the trial. Wong testified that she tested samples from Ward's mother's car and found no residue that was positively from a gunshot. The white Nissan was tested days after the shooting. She told the jurors that time and wear may have impacted whether gunshot particles are found. "If a person was running or washing their hands, or wiping their surface of a hand, that would remove the particles," Wong said. Under cross examination, Wong confirmed she was not asked to test a hat and sweatshirt that prosecutors contend Ward was wearing during the shooting. Guerrero, the lead detective in the case, testified about the evidence that led to their arrests. She detailed for the jurors how gang activity in the area, interviews with gang members and surveillance video led to the arrests of Ward and Williams. "My theory was that the intended target were members of the 46 territory gang because that is their territory and the victims in this case were not 46 terror members," Guerrero said. Guerrero told jurors surveillance video corroborated that Ward and Williams were in a white car. Prosecution witnesses previously testified that a small white car was seen leaving Harsh Park after Pendleton and two others were shot in 2013. Under cross examination, Guerrero acknowledged she didn't look at other white cars and has no physical evidence connecting Ward to the murder. Defense attorneys for Ward and Williams continue to contend that there is no evidence directly linking the men to the crimes, and points out that there is still no one who positively identifies the two. There is a confession video of Ward, but his attorneys say that was coerced during 17 hours of questioning.